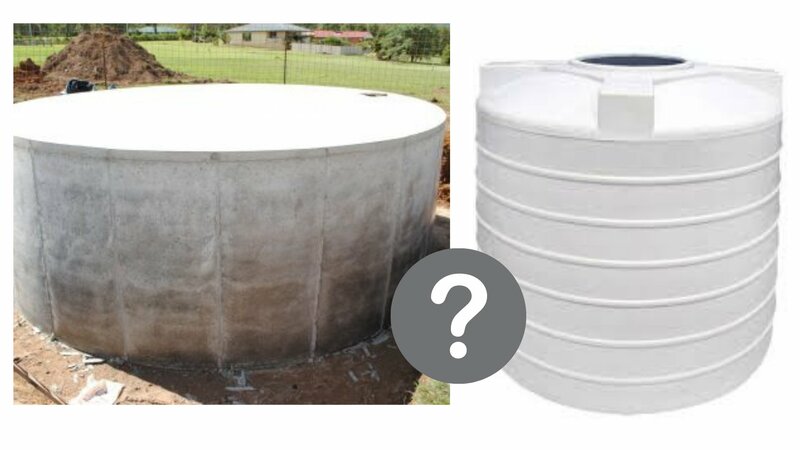 What Is the best Water Storage Solution Concrete Tanks or Plastic Tanks ? There is generally very little wrong with rainwater as it cascades from the skies. However, when we store rainwater in plastic water tanks, it turns acidic. The acid in the body is very bad for us. A corrosive, acid corrodes our body’s organs, destroying them over time. Concrete Tanks will not acidify your water the way plastic water tanks will. Your home, farm or industrial enterprise’s water supply reaches you via a network of copper pipes that were installed decades ago by the Government. This adds to the problem. The copper dissolves in water and causes gastric issues in our delicate digestive systems. This can cause behavioural discomfort and therefore issues in both children and adults. It can also cause cirrhosis of the liver. Copper Poisoning is Real and was reported on ABC Australia’s South East New South Wales Web channel as far back as November 2010. If you live in a Bush-fire prone area in New South Wales, then a Concrete Water Tank is what you ‘do’ need whether it is a Water Storage Solution we are talking about for your Home, Farm or Industrial or Government Enterprise. Concrete Water Tanks aren’t damaged by fire- plastic tanks are destroyed by it. An environmental health hazard, plastic tanks, even when melted down, continue to be toxic to the Earth – destroying all the microorganisms they come in contact with. Heat results in the growth of harmful algae and bacteria in Plastic Water Tanks that can cause Legionnaires disease, among other ailments. Legionnaires Disease is a type of pneumonia you can catch by inhaling the bacteria which lodge’s in one lung. Because water stored in Concrete Water Tanks – particularly when they are inground – the water remains dark and cool – and free of harmful algae and bacteria. When it comes to durability, Plastic Tanks are no match for Concrete Water Tanks. Concrete Water Tanks, when built well, by reputed Concrete Water Storage Solutions Providers like Bega Water Tanks, can last upto 100 years. Bega Water Tanks, in fact, with 30 years of experience building Water Tanks for Homes and Corporations, gives its clients a 25-year guarantee on its tanks which it builds in all sizes from 10,000 to 2 million litres.